Salam everyone. I hope you are all well today. I loooveee watches. I love anything that is made for my wrist. haha! bracelet, watch and more. Since I already have a job now, I already start to collect watches. I have ever wanted to collect watches since I was a teenager. I love to collect different type of watches that symbols something in my life. Something different from one and another and unique. 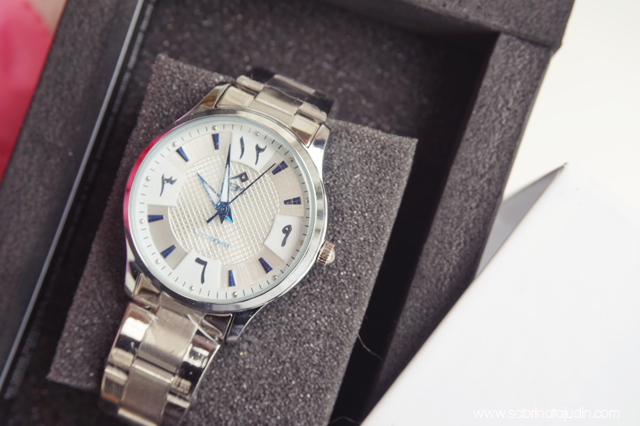 I was introduce to this watch and I am really excited to share with you guys about it, I never heard of an Arabic lettering watches especially when they are COUNTER CLOCKWISE! Pretty neat hey! You heard it right. This in not your normal and typical watches. It is a watch from MEM Watches. I got myself the MEM Ocean Eve watch. It comes in an exclusive box that helps to store my watch safely. It is made from a high quality stainless steel and the and is made from very sturdy alloy. 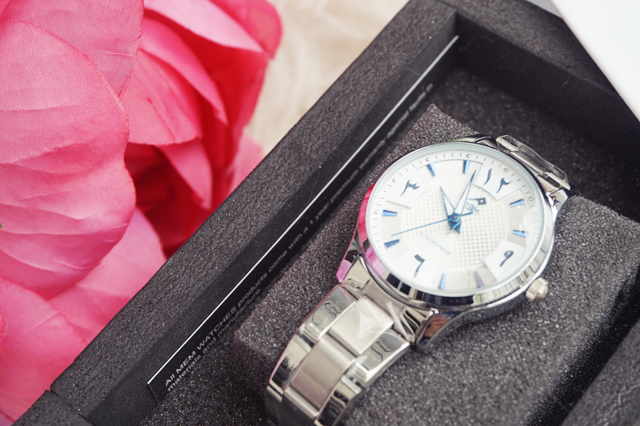 The size of this watch is just perfect for any women out there. The watch movement is counterclockwise Japanese Quartz with Arabic lettering. If you ever wonder which number is what refer to below Arabic Numbers Chart. 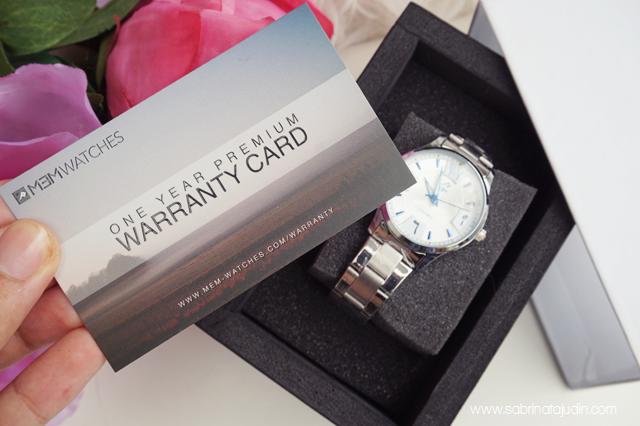 Each watch also comes with a 1 year warranty card that covers such as the "pointer" are detaching from the dial or hands falling off, when the movement is something wrong and problem with the battery within the first 12 months. So worry free okay! They have excellent service! Hik hok! On my first day go jalan-jalan already pakai. Excited ma! It is such a comfortable watch to wear and I think it is one of the best and most nice pair of watch to be worn with my favorite jubah. Feeling feeling minah arab gitew. Ok. Some of you must have a few questions. Why counterclockwise watch? Why it has to be the other way round? There are so many benefits! Some quick fact about counter clockwise watches is that running counterclockwise can help with better blood flow circulation because the heart is located on the left side of the body. and many more! More info about it click here - "Why counter clockwise watches"
Other than my watch that I have shown you they also have different design and also for you man! If you are looking for a nice anniversary gift or even a gift for both of your parents, they have a pair set. The prices of these watches are amazingly affordable. With such great quality and unique features. These watches are a must have. From my opinion, the ones in the arabic lettering are the ones that you must grab. I think I hardly find these types of watches out there in normal retail shops. I hope you find this post helpful and interesting because I think it is! Excited to wear my watch again! My fiance and mom also looking forward to purchase one for their own. They also find these watches are unique. 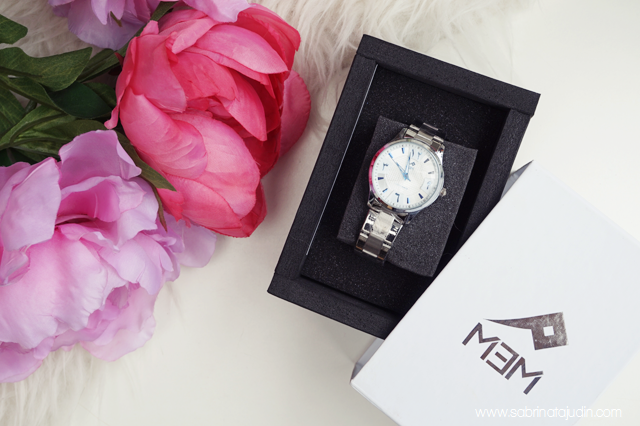 MEM Watches also expanding to more fashion items and more signature counter clockwise watches. Be sure to follow them for more updates. Features Arabic & counter clockwise watches for both men & woman. Assalamualaikum Sabrina, wow its my first time seeing an Arabic numerical watch and also a counter clockwise one. We have a clock at home that is in Arabic numbering, but a watch it's definitely a first. Very unique indeed, but I guess it takes a while to remember how the watch functions, since we're so use to the traditional watch which is clockwise and normal numbers. Anyway thanks for the introduction..
aah, agak confuse jugak mula2.. hehe.. tp lama2 sab rasa sab leh get used to it. haha tu lah! mula2 sab cm tu. hehe i know right! they looks really nice! First time dengar brand ni..
:D Go check it out! cool concept for a watch!! one of a kind! As salam Sabrina...thanks alot for your good review :) Now we have a promotion price until 31st of March 2016.We also want to invite you to come our 2nd Anniversary for MEM WATCHES at Taman Equine Seri Kembangan..